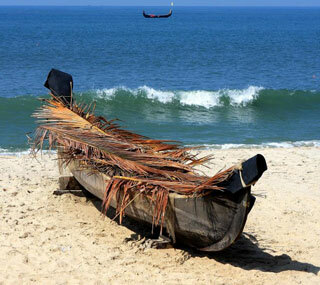 Take a break from the hustle and bustle of mainstream India on our fully escorted tour to Kerala. 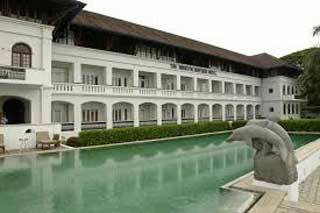 We will fly into Kochi (formerly Cochin) for a 2 night stay in the Kochi Fort area visiting the sites rich in colonial history from the Dutch, Portugese and British conquerors. 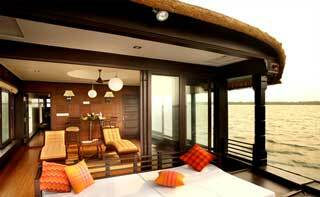 We then head for complete relaxation aboard a luxury Kettuvallom (traditional houseboat) on Kerala’s peaceful backwaters. 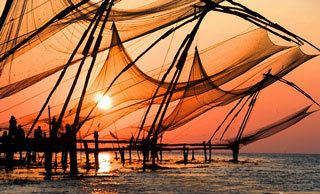 This is an unforgettable experience and is often quoted as the best experience in India. 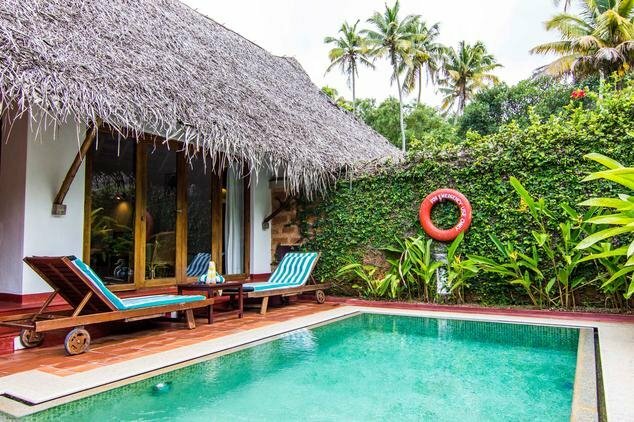 Finally, we spend two more relaxing nights on beautiful Marari beach. Blissful! 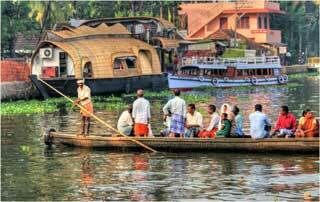 After breakfast aboard your Kettuvallom, we disembark at Alleppey Jetty and transfer to Mararikulam Village, for a 2 night stay at the Marari Beach Resort. Set on an exquisite white sand beach, it is the ideal place to continue to relax!